Jackson’s story is a testimony that managing your fodder is the best way to produce turnaround a loss making farm. Jackson a retired civil servant is a farmer in Kiplombe, Baringo County who has always been affected by the past drought. He has been spending a lot of cash buying poor quality feeds in dry season. In May 2017, Jackson sold 1081 liters of milk to earning a total of Ksh58,416 with an average selling price of Ksh 54. In the same month due to low rains, Jackson ran out of hay his main source of roughage and to sustain his cows he was forced to buy hay from the market. Jackson first bought 59 bales costing his Ksh 10 per liter of milk produced. When this ran out, he bought additional 30 bales costing him Ksh 12.56 out of ksh 54 that he sold his milk. 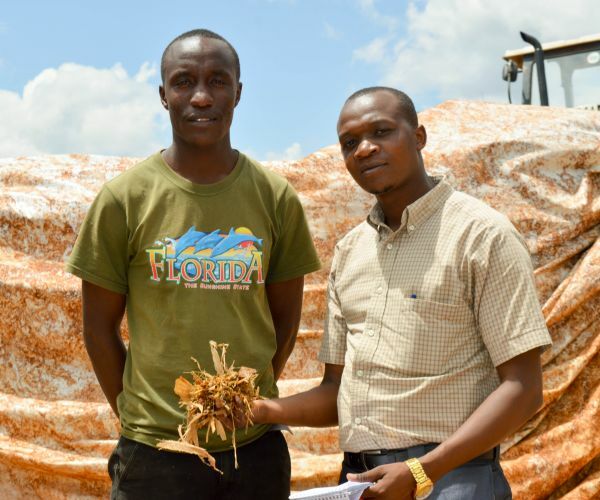 He finally purchased the third batch of 40bales costing Ksh 14.77 Per liter. On the same month he used 465 kilos of concentrate costing him Ksh 19.06 per liter. Adding labour costs @Ksh 10 per liter, health care cost @Ksh 2, and other costs, Jackson had a total expenditure of Ksh 86,400 meaning he spent Ksh 80.37 producing one liter of milk that he sold for Ksh 54. This means he made a loss of Ksh 27,984 or Ksh 26 for every liter he produced. When rains started Jackson bought 14 bags of CAN fertilizer that he applied on his 1 acre of Bhoma rhodes that he had established last year. The grass turned around in less than 20 days from the day of fertilizer application meaning he didn’t need to buy roughage for June. He used 231 bales, 102 bales more than what he used in May of his good quality hay. The hay produced from his farm cost him Ksh 8.46 per liter. On the same month he reduced the quantity of concentrate fed by 15 kilos to 450 reducing his cost per liter from Ksh19 to Ksh10. 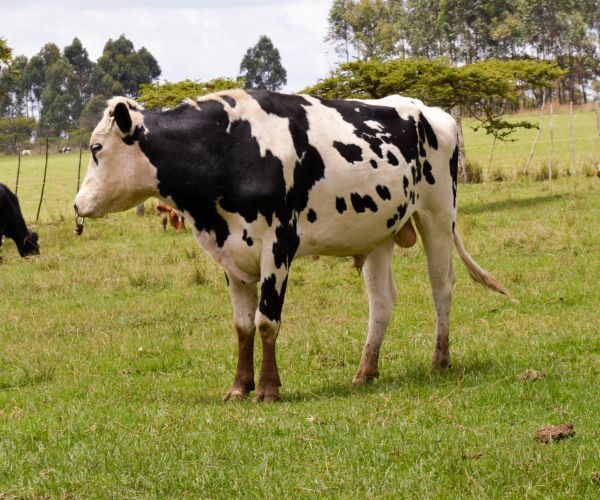 If you add interest on loan, healthcare, labour and all other costs for June, Jackson accrued a total expenditure of Ksh 54,714 in June or Ksh 34.57 for every liter of milk produced in the same month. 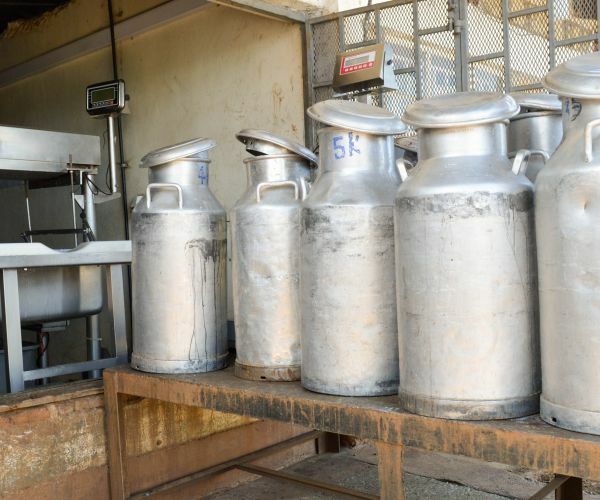 As the case has been in all rainy seasons, milk prices dropped to Ksh 46.64 in June. However total production from Jackson’s farm increased to 1583 liters resulting in total revenues of Ksh 73,831 and a profit of Ksh 12.06 for every liter sold. In June Jackson made a profit of Ksh 19,117. 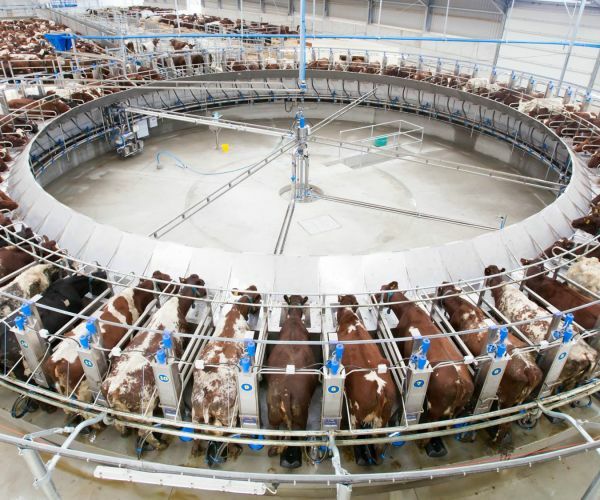 Feeding signifies a huge cost to a dairy farm. Reducing costs associated with feeds plays a big role in determining whether a farm makes profit or loss. Jackson made profit selling his milk at Ksh46 compared to Ksh54 in June. Sometimes in dairy farming, cost of production is more important than selling price. We will continue monitoring data from Jacksons farm for the rest of the year. Do you know the financial situation of your farm? Dou you know how much you are spending to produce one liter of milk? Dairynomics is the only toll that dairy advisors use to calculate the cost of producing a liter of milk.